The state of Rio de Janeiro is the second largest by population in the country, and a major food producer. 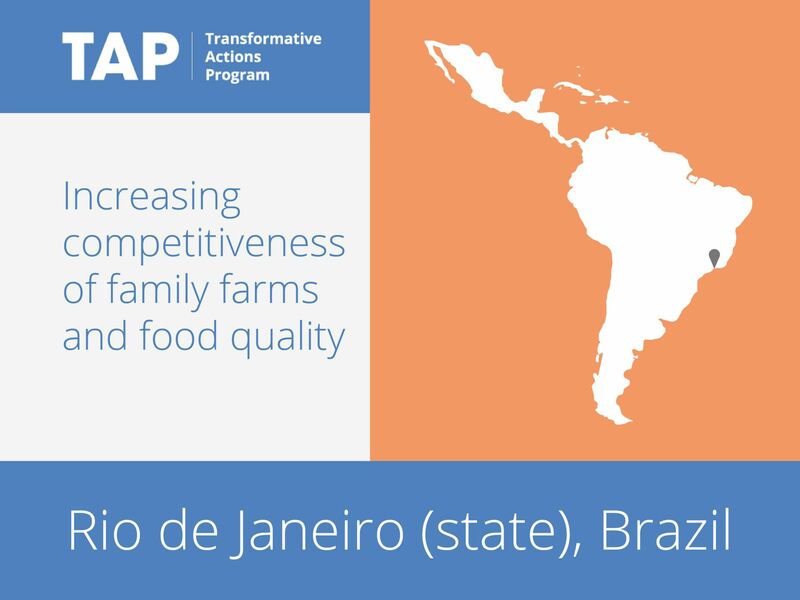 Eighty percent of Rio’s food comes from family farms, with sugar cane of greatest economic value. The state is therefore working to increase the competitiveness of family farms, along with the quality of food produced and the value of the products. For their part, the farms will engage in conservation activities such as reforestation, the restoration of degraded areas and the protection of water sources, thereby improving carbon sequestration and soil protection. The project is supported by the World Bank and the Food and Agriculture Organization (FAO).